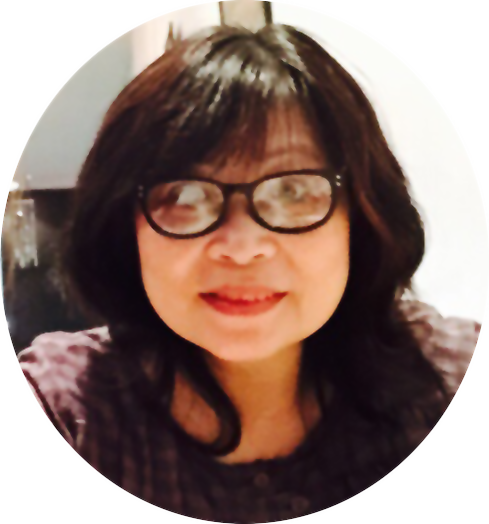 My name is Flora Tan and I like to thank you for visiting making-greeting-cards.com. making-greeting-cards.com is a project of Heart to Art, a company I founded a few years back. I believe that we are all naturally creative. Through putting pen and ink to a small piece of paper, adding some colours of our choice; a dab here and another there, we are rediscovering our creative self. And only when we have truly found ourselves, then can we really begin to love and serve others freely and without reservation. I hope that in making cards for others, you will also discover your creative self and be enriched by the experience. Make each card with love and send them out with prayers. And may each card you made and sent bring much cheer and comfort to all you meant them for. 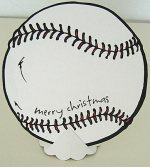 So, whether you are already a card-crafter or just learning this craft, welcome to making-greeting-cards.com. Make yourself a drink and spend some time looking around this card making website. 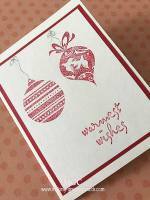 May the projects on this site give you inspiration to make your own beautiful handmade cards. 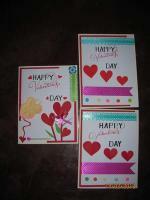 So welcome to the joy of cardmaking and do practice Random Acts of Kindness (R.A.K.) by sending someone a handmade "one-of-a-kind" card today and make this world a brighter place to live in. My favourite hobby is card making and because this cardmaking website is so packed with cards I have made and since there are so much to share about happy birthdays and wedding invitations, I have decided to build another two websites dedicated to these two topics. Well, I have another pastime. It's making jewelries using semi-precious stones and ordinary items around the house. I also use found objects and recycle them into one-of-a-kind jewelries. So check out my jewelry website if you are also into it. As a Christian, it is natural that I love to talk about Jesus Christ. He is awesome and since I got to know Him some 40 years ago, He had taught me many things about life and so the following two websites; one all about my spiritual journey with Jesus and the other an online storage for my favourite hymns. If you need to contact me, you can reach me by using the form provided here. 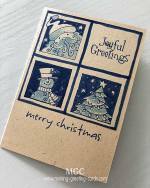 Want to send me your handmade card? You can send it to me at the following mailing address.